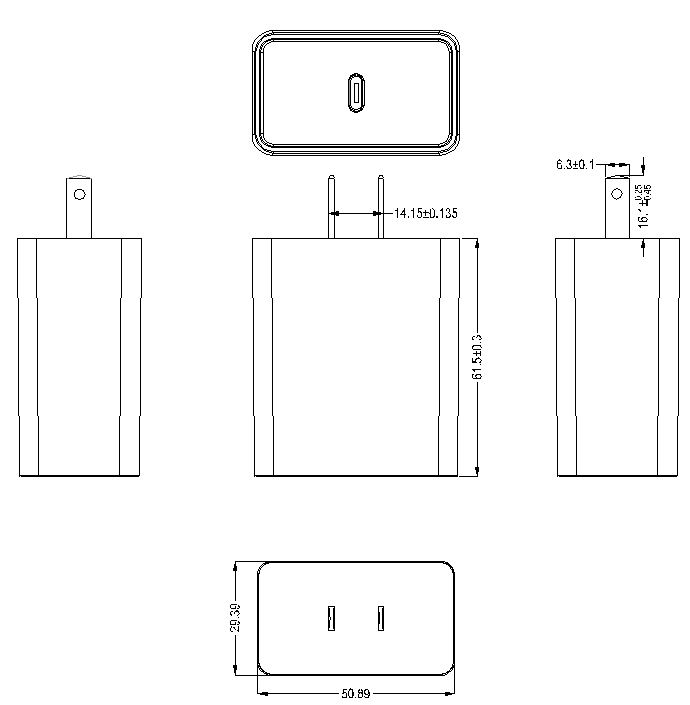 The WMUSB45 series of AC/DC USB Type C supplies offers 45 watts of output power in a compact 2.42” x 2” x 1.16” package. This series consists of single output models with a wide input voltage range of 90~264VAC and high efficiency. Each model in this series offers over power, over current, over voltage, and short circuit protection, is RoHS compliant, and meets UL60950 safety standard. This series has been burn in tested. Notes: 1. 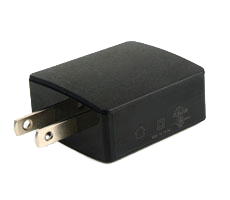 Input AC 90/60Hz & 264V/50Hz test the full current load conditions & the output voltage of the charger ripple. The oscilloscope limit bandwidth is 20Mhz, the output increased 47uF electrolytic 0.1uF ceramic capacitors.